There are some special things that you should know when you pet or raising ducks. Actually when you treat ducks there is no something difficult that pressed you because honestly treat duck is really easy. The things like food, cage, and disease therapy basically easy and beginner friendly. But still even treat ducks is really easy, there are some highlights that you can’t miss to take care of them. These highlight usually something like basic treatment which related with external factor of the duck. The baby duck does need special treatment because they are still weak and can’t do it by them self. The basic treatment like another baby animal such like special food and extra attention should be theirs. Basically there are some highlight that used for both baby duck and adult duck. Here are some important things that you must highlight when rising duck. Duck is really sensitive about temperature moreover if you decided to pet the babies. Actually the babies need something warmth to keep them still comfort. To have your own heater, install a lamp over their cage should be really suggested. Install a 100 W bulb lamp would enough for the duck. Put away the lamp if it’s felt over-heat toward the duck. It helps to decrease the heat that touched the duck. Also, make the space inside the cage which can’t reach by the heat. Control the lamp due to the duck’s behavior. If the duck make a group under the lamp and their breath looks like hard, that means that the duck feels hot. Put away the lamp to help you decrease the heat over the duck. And if the duck is spread out over the cage, it means that the duck is cold so put the lamp closer to the duck to make them warmer. Basically installed lamp as heater installation will not affect anything if you can’t play and monitor the duck. So don’t forget to matching it out. As we know swim is the natural habit of duck. Even we pet them as pet animal or being an animal poultry, we need to facilitate this thing. The farmer usually take the duck every morning to be swim in the lake, so how about you? Did you still selfish to not let them go to swimming? Actually you can make your own pool that dedicated to them. You can dig a little soil on your backyard which using plastic as the base and then add the water until it full. Beside the clean is more guarantee, you don’t need to take your duck as far just to swimming. Also, you can monitor them as easily because it still on your home. There is some special guideline to make do it yourself pool for the baby on simple step to take care duck for beginner so don’t worry, okay? Some people usually pet more than one animal in their home and unfortunately they are usually can’t be compromised about new comer. Actually if you decide to pet duck which is still baby, better you separate their cage. Don’t make it close because another animal can bother the duck. 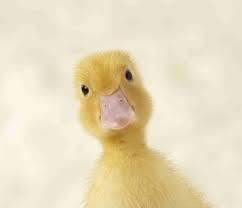 However the bigger animal or another animal which is not as same kind of them would feel curious and try to touch, closed, and smell the duck which is not good for the duck itself. Also, they have a chance to hurt or claw the duck and that’s so terrible for them. So as preventive act you can separate their cage or room to keep them safe. Beside safety thing, budget is also must to prepare well before you decide to pet something to buy their food, vaccine, vitamin, and another equipment. It is more help you if you like to make something by yourself, so you can make your own cage for them or pool. But still to buy something to make it, once again you need budget. Actually this point should be fulfilled not only when you pet duck but also another animal. Actually you have to prepare pool and cage when you pet duck. It is good if you pet only one because you can make him swim in your bath up. But let’s imagine if you pet some ducks? It is automatically you have to prepare larger space, right? So just make sure that there is a space that can used for place the cage, something beginning with basic right? Actually the baby duck can eat something that unusual for them like fruit but just make sure that their main food is duck food. Actually their food is duck pallet but there is some minimal age when the duck can eat this thing. Don’t give the pallet for chicken because it is different nutrition and that food didn’t fulfill the nutrition that needed by the duck. Also, don’t give them onion, bird food, and any bread kind for their food. As additional, you can give bean, nut, small fish, and corn. Because most of their time spends in water, if you want to keep their healthy all you can do is make sure that their water both of drinking and pool is clean. Make sure the place that you use for drinking is clean and if you needed clean it up every day to make sure there is no bacteria inside it. Also, change the water pool at least three times per week to make sure there is clean. Clean the pool can also useful to avoid mosquito’s egg which is not good for healthy. Well this would be your daily activity if you decide to pet baby duck. As we know baby duck is still weak and can’t able to do everything by themself, so you as the owner should help them and keep your eye on them. Don’t let the baby duck swim or walk alone outside the home. Beside it would make them lost and can’t come back home, it is also some risky because of predators. Predator can threat them not only hurt but it can also kill or eat them. So it is important thing for you to accompany them when you let them free. Not only for baby duck, adult duck also need for monitoring because they can also lost if he separate with the line. Basically both of baby and adult duck should be monitoring well, not only threat by predators that put them in danger, some problem like hurt by felt can also become their problem that needed to be solve as soon as possible. This is point also one of all important things if you want to raise the duck. The cage choices had high contribute to treat them well. Actually to facilitate their movement and their growth, choose the big one cage will more profitable than you pressed the size on their one age. The duck is getting bigger and automatically you need bigger cage. So if you can choose the bigger one in beginning then why you have to pressed it?